Taking care of our furry family members is important to all of us. Just like humans, pets can have unexpected health issues and mishaps. It’s important to know what to do and when to contact your veterinarian. 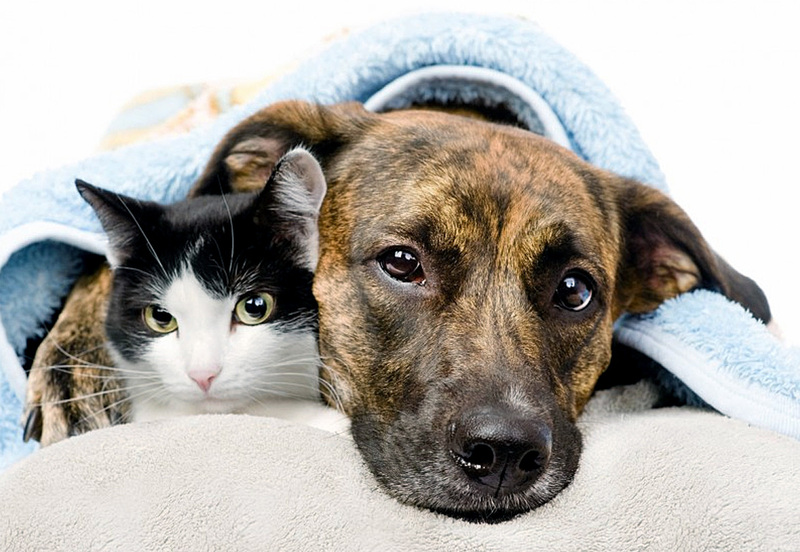 Here are some frequently asked questions about pet health issues. What should I do if my pet eats or ingests something that might be poisonous? First, determine what substance and how much of it your pet ingested and then consult your veterinarian or a poison control hotline. Vomiting may need to be induced, but not in all instances. Do NOT induce vomiting except upon the advice of your veterinarian. The ASPCA offers an online resource and a mobile app which identifies many substances which are toxic to pets. In addition, their Poison Control Hotline is available 24/7 at 888-426-4435. A $65 fee applies. Here are some common substances which are highly toxic to pets. If your pet has ingested any amount of these, seek veterinary care immediately. Antifreeze: if an animal has ingested it, they will appear drunk—disoriented, staggering or falling down when trying to walk, and possibly vomiting. After 12-24 hours, the effects may be irreversible. Unsweetened or Baking Chocolate: contains Theobromine, which is toxic. Grapes and Raisins: although the toxic substance within grapes and raisins is unknown, these fruits can cause kidney failure. Xylitol: a popular sugar substitute in candies, cookies, baking mixes, and “sugar-free” chocolate is highly toxic to all pets. Alcohol: can cause vomiting, diarrhea, decreased coordination, central nervous system depression, difficulty breathing, tremors, abnormal blood acidity, coma and even death. What should I do if my pet becomes overheated? Of course, the best cure is prevention. Never leave a pet in a parked car; keep them off the hot pavement; make sure they always have plenty of clean, cool drinking water; and limit outdoor time to early morning or late in the day. 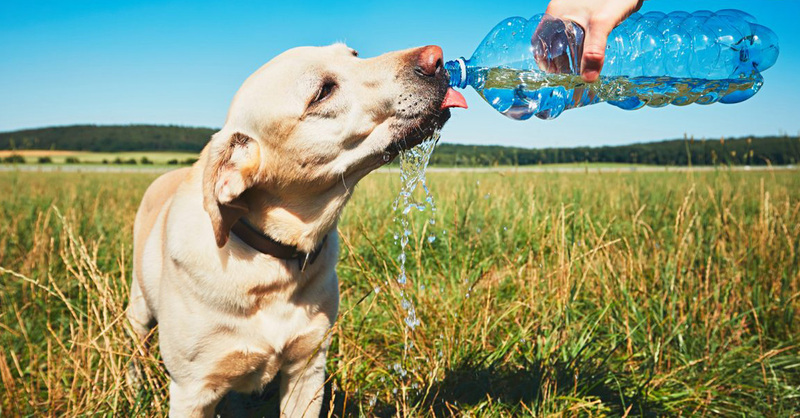 Know the signs of heat exhaustion: heavy panting, rapid breathing, and elevated body temperature, glazed eyes, excessive thirst, staggering, or stumbling. If you notice any of these signs, quickly get your pet out of the heat and begin to cool them down with water from a hose or in the bathtub. Continue until breathing becomes normal and the pet’s body temperature is lowered. Call your veterinarian. It is important your pet be examined to determine if exposure to excessive heat has caused any internal damage or changes in its vascular system. If my pet gets cut, how should I treat the wound? Stop the bleeding by gently applying pressure with a clean cloth. This could be painful, so you may need help keeping your pet still. Clean the cut with warm water and a cloth. Apply an antibiotic ointment such as Neosporin and if the cut is still bleeding, lightly wrap the wound. Call your veterinarian to determine if stitches are necessary. My pet is limping. Can I wait to see if it improves on its own? If you believe your pet is in pain, your veterinarian should assess as soon as possible. 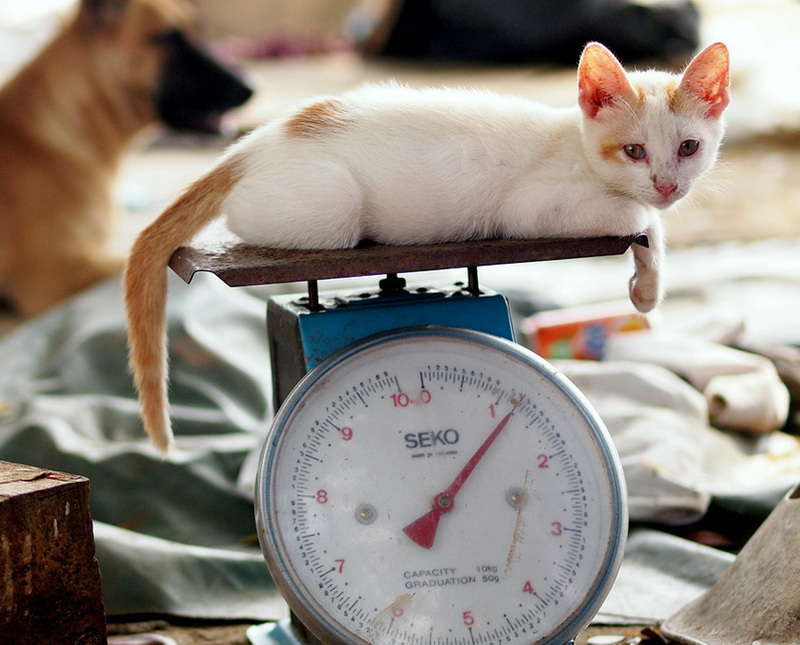 If your pet is able to bear some weight on the leg, it’s ok to wait and observe. Keep the animal quiet and immobile and if there is no improvement in 24 hours, you should see your vet. NEVER give any human pain medications to your pet unless recommended by your vet. What should I do if my pet is sneezing, gagging or coughing non-stop? Persistent sneezing, gagging or coughing should be taken very seriously and you should act quickly. It could be a sign of obstruction in the airway, heart failure, or any number of conditions associated with the respiratory tract. Don’t wait -contact your vet or a 24-hour emergency veterinarian immediately. My pet’s not eating much and has lost weight. Should I be worried? Rapid weight loss and a decrease in appetite are never normal. There are a wide variety of issues that could be the cause Visit your veterinarian as soon as possible. Why has my pet been drinking so much water lately? There are several conditions that can cause an increase in water consumption and urination in your cat or dog. Make an appointment with your veterinarian so they can run tests to determine the specific cause. For cats which are also not urinating, this could be a sign of a urinary tract obstruction and should be treated immediately. If it is after hours, contact an emergency vet. What should I do if my pet is having a seizure? Although extremely scary and upsetting to watch, a seizure isn’t always as bad as it appears. Seizures are usually not painful and are usually self-limiting. While your pet is seizing, don’t move them unless they are in a dangerous position. Try to give them plenty of room. Most seizures last less than two minutes and are not hazardous to their immediate health. See your veterinarian as soon as you can to determine the cause of the seizure and what treatment may be necessary. If your pet is very young (less than four months of age) seizures may be caused by hypoglycemia (low blood sugar). In this case you can rub honey or Karo syrup on their gums and then seek immediate veterinary care. 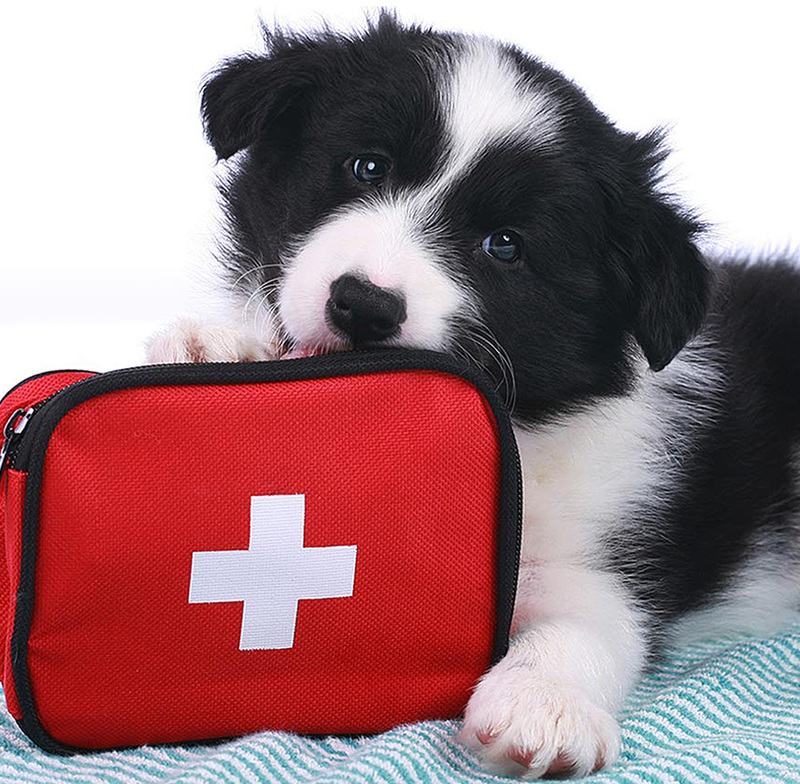 What should I have in a first aid kit for my pets? In most cases, the same one you use for your family can also be used for your animals. Commercial pet first aid kits are also available. 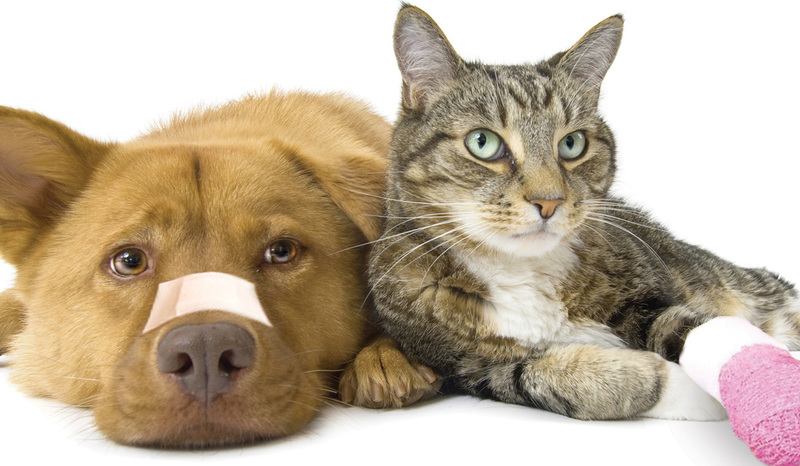 If you would like to make one specifically for your pet, it should contain a variety of bandage material, adhesive tape, eye wash, an eye dropper or syringe, Benadryl, antibiotic ointment, sterile saline solution, cotton balls, and hydrogen peroxide. Also, be sure to include the phone number and driving directions to your veterinarian’s office and/or the emergency clinic, and the phone number for the animal poison control hotline. Every pet owner wants to keep their precious pets healthy and safe. Being prepared for an unexpected health issue will help you keep them that way!